Sunday 1. Viking Market at The Viking Ship Museum in Roskilde. Tall Ships Race is an internatinal race for training ships. 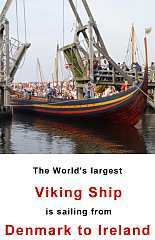 It starts this year in Aarhus and will visit other harbour cities in the Baltic Area too.